Planning has been and always will be an essential part of anything that we do, whether it be for personal reasons or for work related activities. In the workplace or in a company, an annual operational plan is created and used so that company or business operation goals and objectives are carried out and monitored according to what has been planned for the entire year. 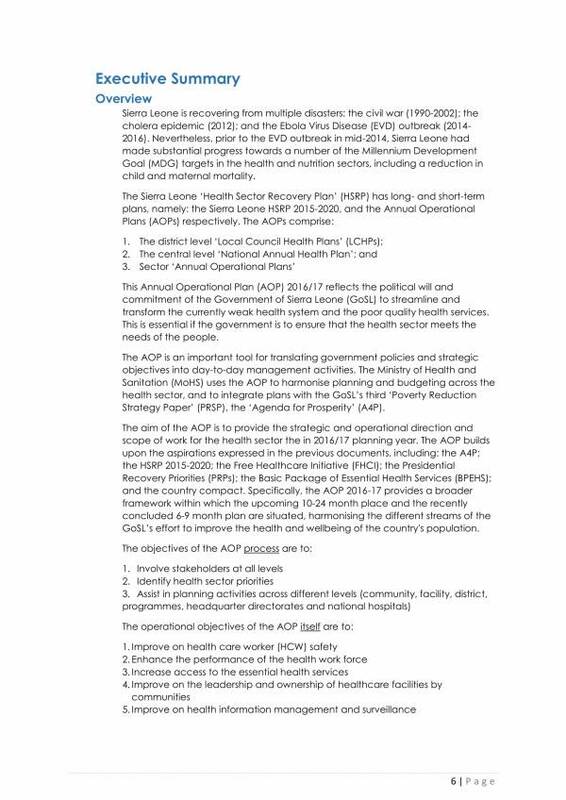 This article will be all about annual operational plans. We will be defining what an annual operational plan is, its uses, its key components, its purpose and the advantages of operational plan templates to any user. We have also made sure to include different samples and templates that can be used as reference or visual aid for any of you who wish to learn and understand operational plan better. Check them out below. 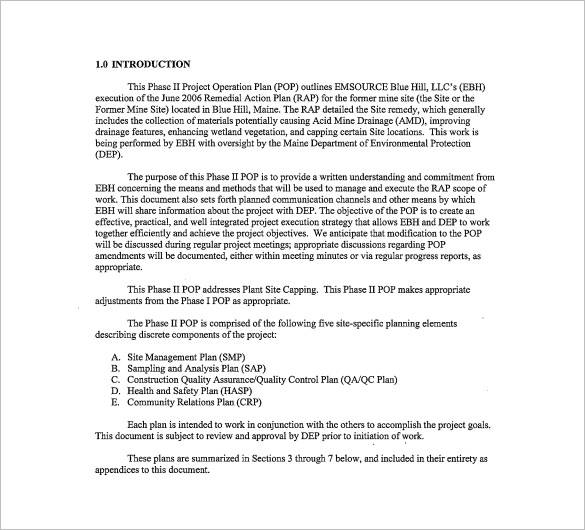 What Is an Annual Operating Plan? How are companies and businesses able to plan for their companies and manage their businesses to become successful and fully operation for a long period of time. Planning and managing a business or company for a short period of time is a tedious tasks and requires a lot of time, skills and determination. What more if has to do with yearly or longer periods of time? Companies and business are able to become successful and achieve their goals and objectives for long periods of time through a an annual operating plan. It is defined as a planning processes where companies or businesses set their strategic goals and objectives, which then becomes the basis for the various tasks and activities that they carry out throughout the year. An annual operational plan is a very detailed plan which provides the specifics on how a company or business can do or work on toward their planned goals and objectives. It includes a description of the companies certain operational milestones, explanation on how these goals and objectives can be met, details about the annual budget request, and many more. 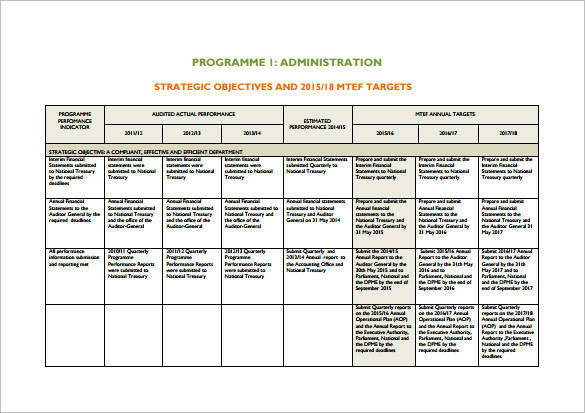 A well-thought-out and complete annual operation plan covers the tasks, activities to be achieved and the strategies used in the plan, the different individuals or entities who are involved ans responsible for carrying certain tasks and activities, the time frame or the time required to have the tasks completed, and the financial resources required in order for the tasks to be carried out and completed. Other related topics that you may be interested in are Sales Plan Samples & Templates, Control Plan Samples & Templates, and Sample Marketing Plan Templates. What Are the Key Components of an Operational Plan? Operational plan needs to be complete and thoroughly created as it will be used as the basis for a years worth of task activities where the success of the business or company relies. In order to create a complete and effective operational plan, it should include the following key components. An operational plan should contain clear objectives. Clear objectives makes it possible for any company or business plan and work on what the company or business needs for the year or so. Because of this, all those who are involved can focus on the same objectives thus allows everyone to work with harmony successfuly. It should contain activities that are to be delivered. It should provide an outline or highlight the key tasks or activities that needs to be accomplished by the company or business for a specific period of time in order to meet their goals and objectives. It should have quality standards and desired outcomes included in it. Standards that help maintain and determine the quality of work and the quality of the output for such work are essential for any operations regardless of what field a company or business belongs. High quality outputs are produced by having quality standards set in place and this makes it possible for anyone to get the desired outcomes. 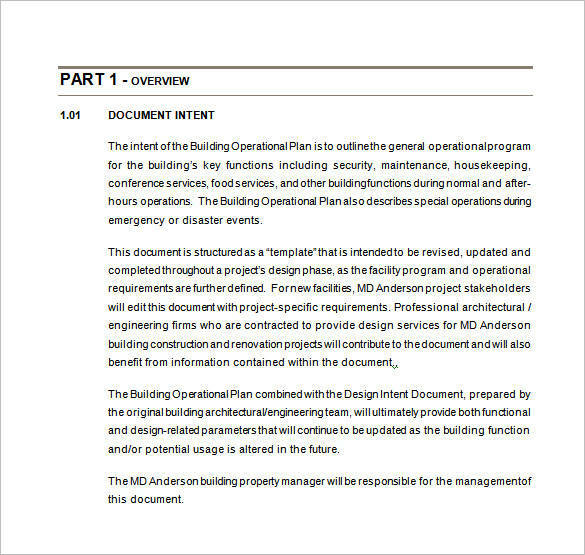 An operation plan should contain staffing and resource requirements. 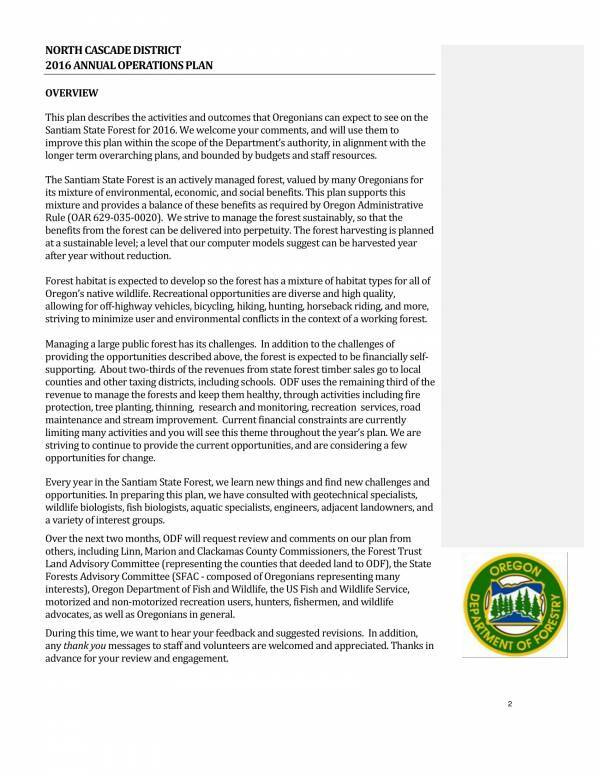 The plan should include both the people needed to get the planing implemented and the resources that will be used to reach their planned goals. It should have implementation timetables. The timetables will help in the monitoring of the progress or accomplishments that the company or business has done so far based on the annual operational plan created. It should contain a process for monitoring. And in order to ensure that everything is going according to plan, everything that has been done should be appropriately and timely monitored. Remember these key components if you ever have to make an operational plan or take part in creating one. It will surely help you get the job done and ensure that your work is useful and effective. You may check out other related articles on our website, like Software Business Plan Templates, Implementation Plan Examples and Sample Bar Business Plans. What Is the Difference Between an Operational Plan and A Strategic Plan? An operational plan is a plan created so that resources are properly utilized to meet set goals and objectives. A strategic plan works like guide that the management uses or follows. An operational plan provides specific details of the tasks or activities that are needed so that strategies will be implemented while a strategic plan is used to suggest what strategies should be used by the organization to reach its goals. 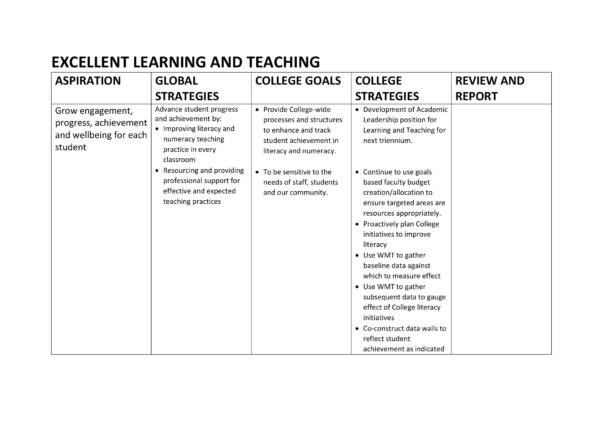 A strategic plan is used for longer periods of time until the goals or objectives are met. Although operational plans are also used for long periods of time or annually, it mainly plans for the day-to-day activities of the company or business. There are no significant changes to a strategic plan every year while an operational plan tends to change or differ every year. An operation plan is created in reference to a strategic plan and a strategic plan is created so that an operational plan can be formulated. So the next time you encounter operational planning and strategic planing, you will know that they are not the same and be able to clearly differentiate one from the other. Aside from operational plans and strategic plans, there are still a number of plans out there that you might be interested in. Some interesting examples are How to Make a Smart Marketing Plan and Elements of a Business Plan. 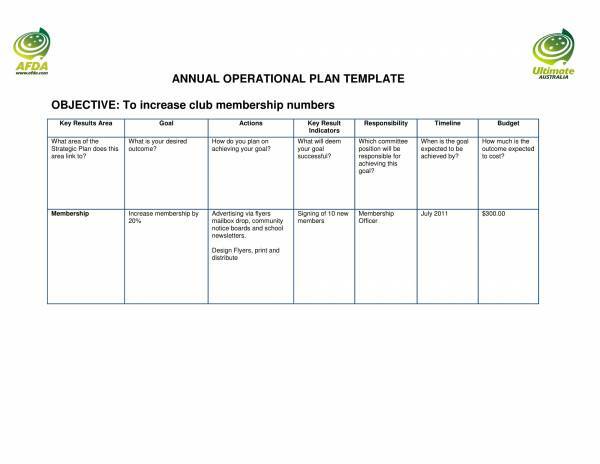 What Are the Advantages of Annual Operation Plan Templates? The following are the advantages of an annual operating plan template. 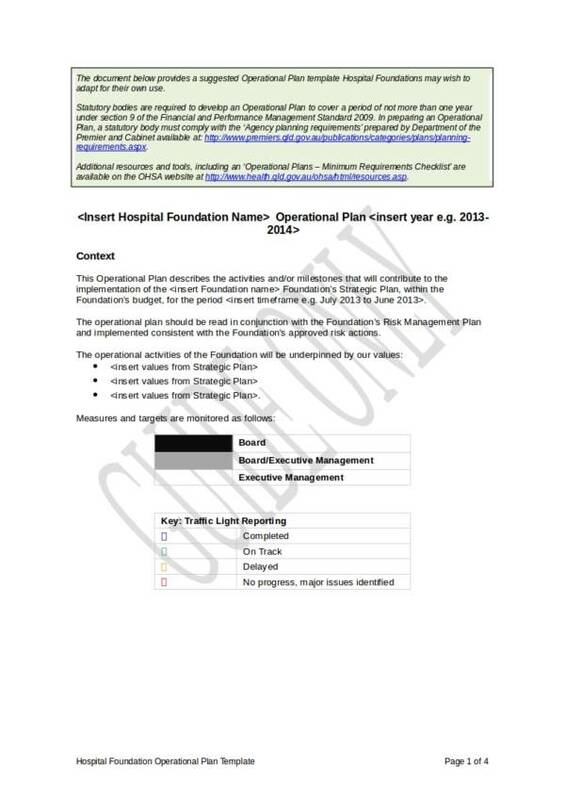 Annual operating plan templates are ready made documents that you need to complete in order to create a useful and effective operational plan document. It makes the task of creating an annual operational plan easy and convenient. You can use the template either as reference in creating your own or use it as your own. 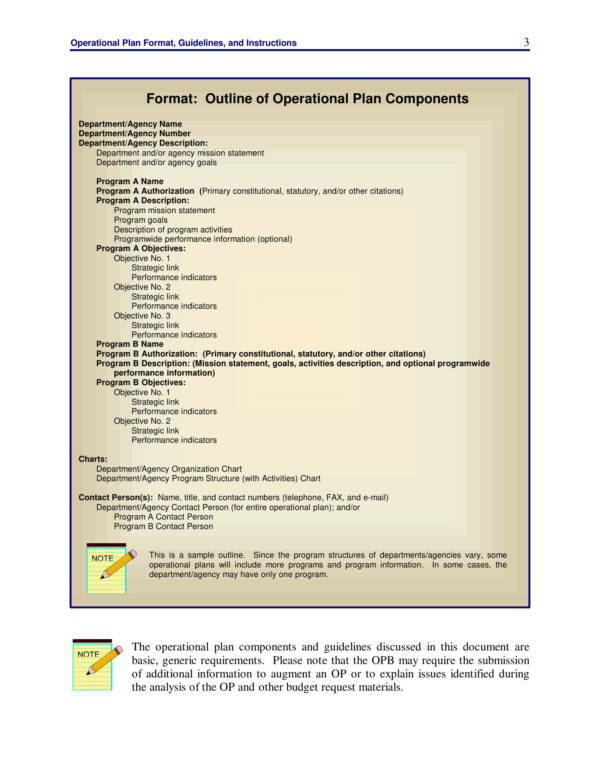 There are many different varieties of operational plan templates available online and they are mostly available for free download. They are even created in different file formats that are familiar to us. You can edit any operational plan template to suit your needs or to make its contents appropriate for your needs. You can guarantee that your work will be complete and detailed with the use of the template. Those are the advantages that you can get if you use an annual operation plan template. 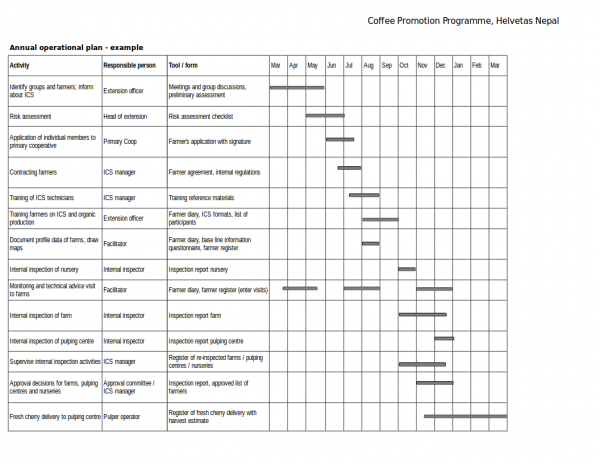 We hope that you are able to learn about annual operation plans in this article. If you wish to learn more, then you can freely check out our website for more interesting topics. We have there Operating Budget Samples Sample Templates and Flight Plan Templates to name a few.